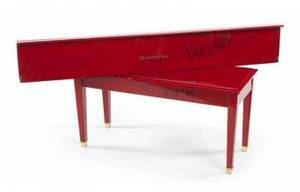 American, 1990s. 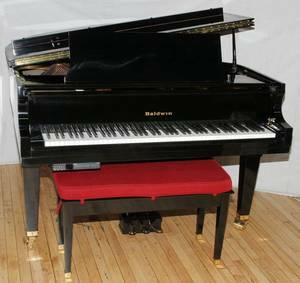 Baldwin Classic Baby Grand (C-Model) piano in black lacquered case with brass metal trim. 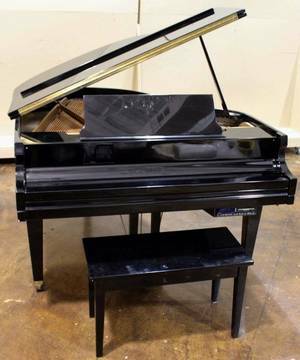 Piano raised on three legs with casters. 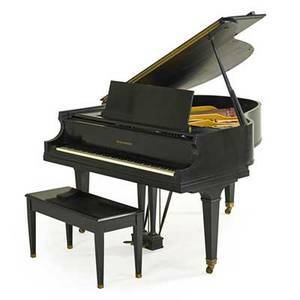 Baby grand piano with additional player piano capabilities through Piano Disc PDS-128 mounted under piano at lower right of keyboard, futher support for Piano Disc PDS-128 hidden underneath instrument body. 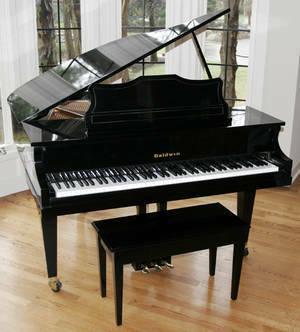 Piano accompanied with matching black lacquered rectangular piano bench with hinged lid that reveals storage within. 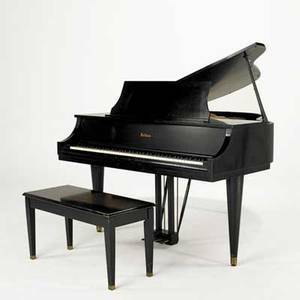 Accompanied with booklets on player piano functions and set up as well as discs for hearing different types of music. 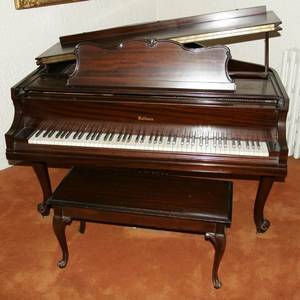 Baldwin piano serial number 329755. 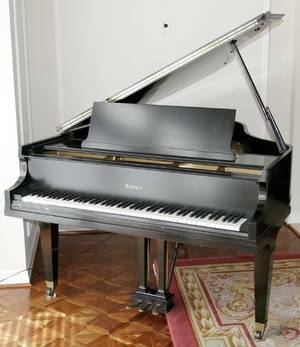 Approximate height (to top of case when in traditional raised position) 61", width 55.25", depth 64". 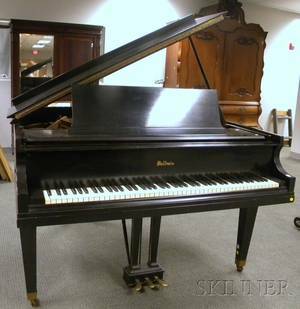 Baldwin; baby grand piano with ebonized case with bench, 20th c.; 37 1/2"" x 62 1/2"" x 57""